In our house, Christmas time is all about the baking. Brooke baking and me eating, that is. It’s a great balance! Although we have a few “go to” recipes this time of year; Cranberry and Pistachio Biscotti, Apricot Balls and of course Choc Mint Fudge! You cannot go past a Christmas classic like Gingerbread. 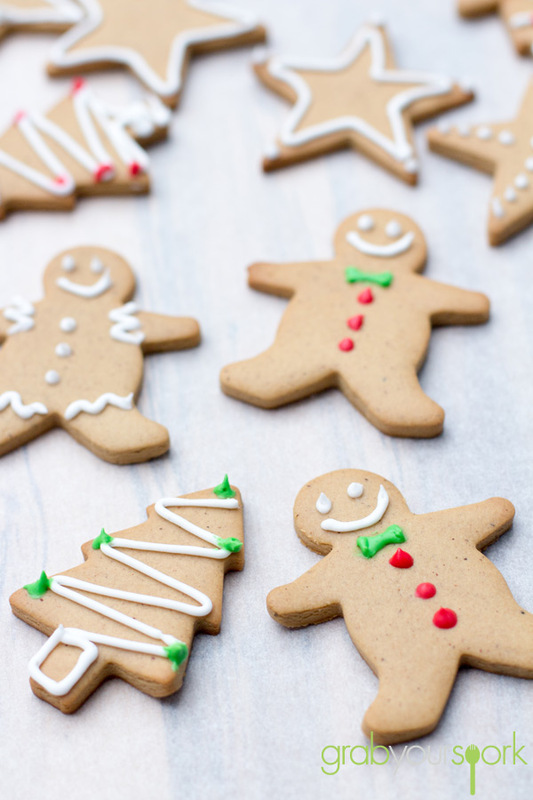 These simple gingerbread cookies are really easy to make and they turn out perfect every time. The dough can also be rolled and cut into any shape which makes it a great activity for those who have kids. Like a true Australian, this recipe for Gingerbread cookies uses golden syrup, not molasses which is commonly used in all American recipes. 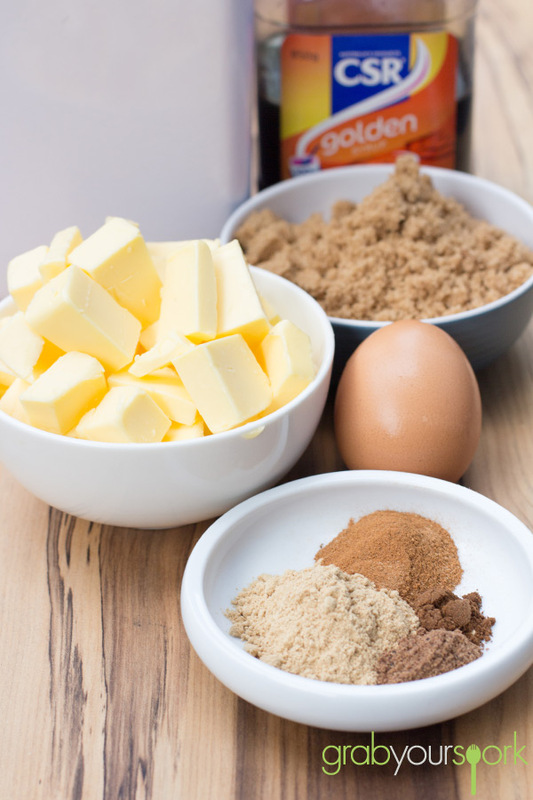 You start with butter, brown sugar and golden syrup melting in a pot then incorporating the flour, egg and spices! When we make anything with spice (like our Ginger Nut Biscuits) we like a lot of flavour. For our spice combination, we used ground ginger, cinnamon, nutmeg and ground cloves, which will leave your house filled with the smell of Christmas once you’re done. The most important steps to remember when making these biscuits is you must allow enough time for the dough to chill. This will stop the shapes from shrinking when you bake them. For those who are time poor (or impatient like Brooke) I would suggest you portion the dough into quarters and wrap each quarter separately allowing it to chill faster. 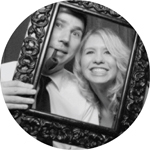 The other tip is ensuring you get the perfect colour on your shapes. 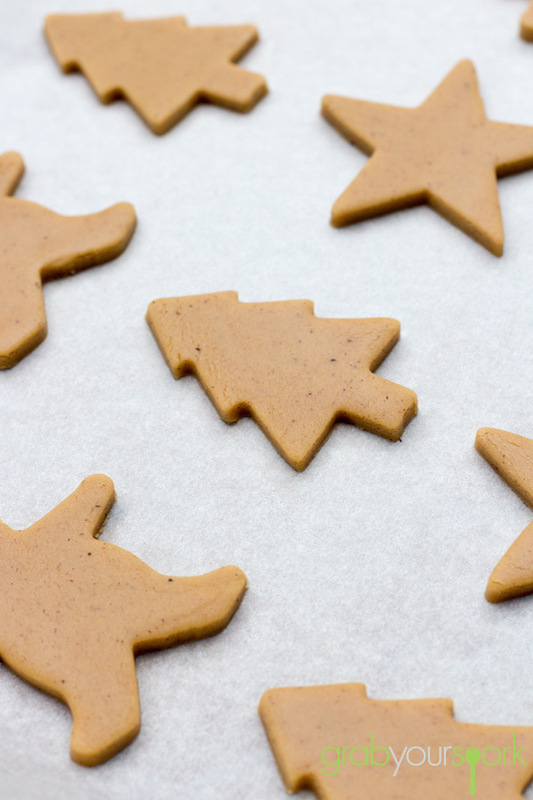 To avoid over browning, remove the gingerbread from the oven when it is a light golden colour. The biscuits may look soft, but they will firm up once cooled. Once you have your biscuits ready to bake, place the cut-out dough onto a lined baking sheet. They won’t really spread (if chilled properly). They should take about 10-12 minutes in the oven for smaller shapes or 12-15 minutes for larger shapes, or until golden brown. Set aside trays to completely cool before decorating with royal icing. Royal icing sets hard making it perfect for icing cookies, biscuits and for adding a decorative touch to your gingerbread men, Christmas trees or stars! 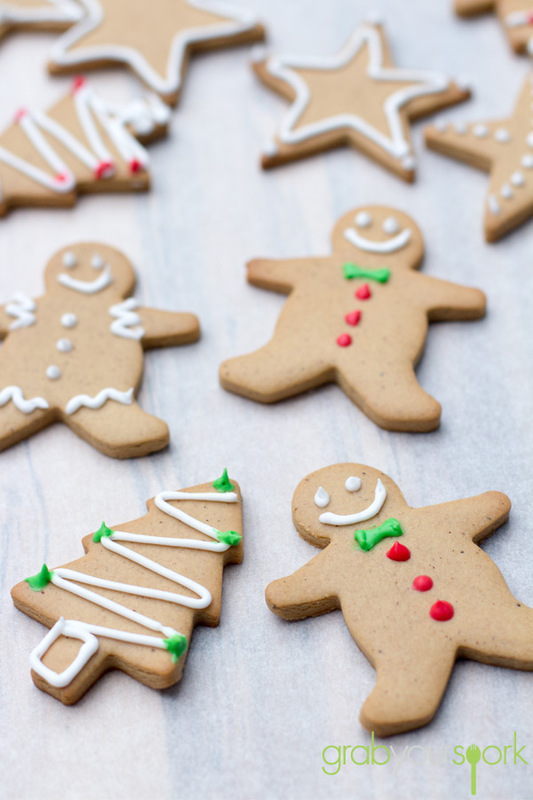 These simple gingerbread cookies are really easy to make and they turn out perfect every time. Preheat oven to 180ºC. Line baking tray with baking paper. Melt butter, sugar and golden syrup together in a saucepan, stirring until smooth. Cool slightly. Transfer the butter mixture to a medium bowl. Add the egg and whisk to combine. Stir in the sifted flour and spices. Turn onto slightly floured surface and knead until smooth. Divide the dough into quarters, wrap with plastic and place in the fridge for at least 30 mins or until firm. Roll each portion out onto a lightly floured surface (or between two sheets of baking paper) to a 3mm thick disc. Cut out your desired shapes. Place onto the lined trays. Bake for 10-12 mins for smaller shapes or 12-15 mins for larger shapes, or until light golden. Set aside on trays to cool completely. 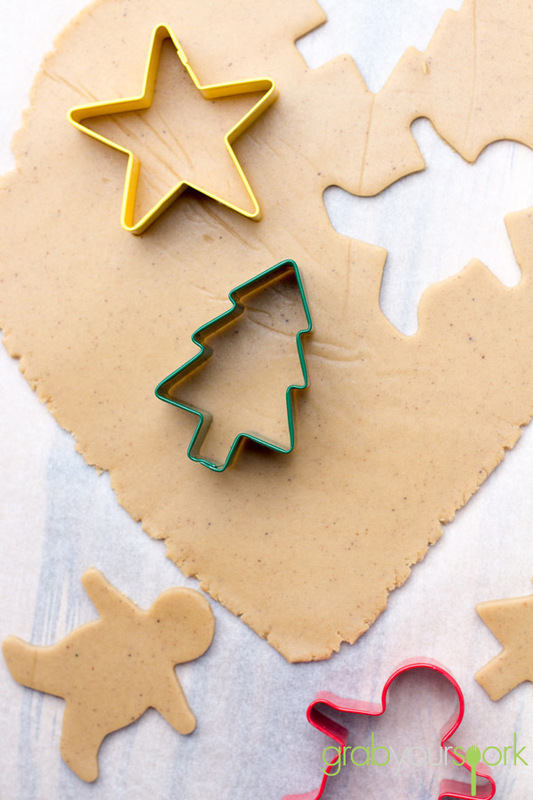 To decorate, prepare royal icing and decorate your shapes for a festive touch. Lightly whisk eggwhite and lemon juice together in a bowl. Gradually add icing sugar, whisking until smooth and combined. 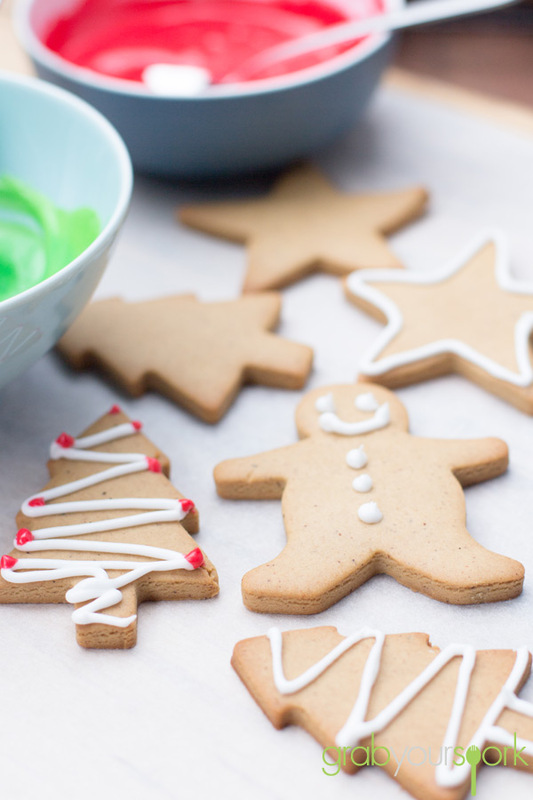 Divide your icing adding a few drops of colouring if you wish to decorate your gingerbread with a few colours!